Want to know what your child will be learning in maths lessons this year? Read on to discover the Year 3 maths curriculum. Children are becoming more confident in their use of numbers now, so maths lessons in Year 3 build on this. There is a daily maths lesson, but also plenty of opportunities for the children to use maths in other areas of the curriculum, too. It’s around now that parents sometimes start to struggle with their child’s maths homework, as teaching methods have changed over the years, and children are taught addition, subtraction, multiplication and division in a completely different way. Take the lead from your child and ask them to explain how they are taught – showing them your methods can lead to confusion. 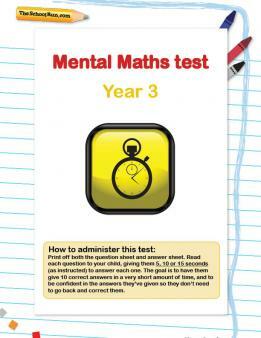 Put the theory into practice with our Year 3 maths worksheets, take a Y3 mental maths mini-test, play some multiplication games or try some of teachers' tricks for learning times tables. 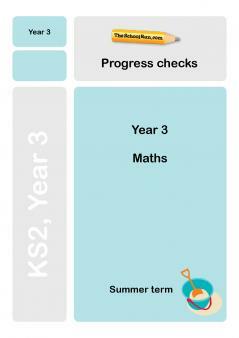 Check your Y3 child's progress in maths with our free Y3 maths Progress checks, three mini-tests for the autumn, spring and summer terms.